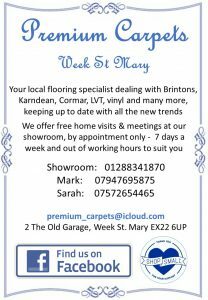 Situated in the village of Week St Mary at the old garage, is the spacious unique showroom of Premium Carpets, offering a wide selection of all different types of flooring ranging from carpets, vinyl, luxury vinyl tiles (LVT), safety flooring, wood, rugs plus more. 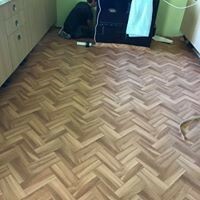 Here’s only a handful of companies they deal with: Karndean, Cormar, Britons, Polyflor, Lifestyle, plus many more. 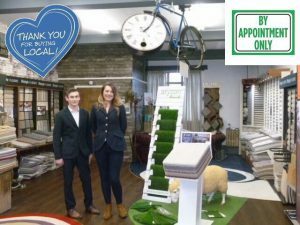 Mark and Sarah are very passionate about their business, keeping a keen eye on new trends to bring you the latest on the market. 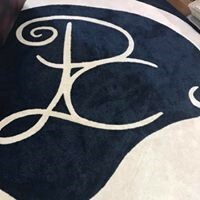 They offer their customers a personal service providing appointment-only for their showroom, and home visits to provide one to one care from start to finish. 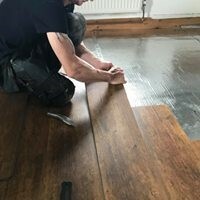 With over 20 years combined experience they will guide you through, with help and advice making the experience of getting your new floor a smooth process. 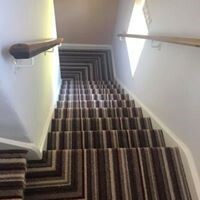 Appointments can be made 7 days week and out of working hours, providing customers with days and times to suit their needs, around busy schedules. 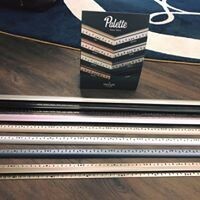 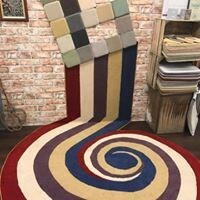 Premium carpets also have a pop up shop over at Hatherleigh market every Tuesday from 10:00am – 1:00pm providing a small collection of products to view. 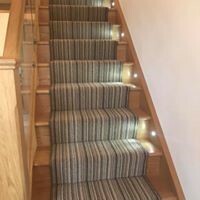 They are happy to compete with any genuine quotations and always aim to give their customers the best, for the best price.